According to the 2013 report by the Organization of Economic Cooperation and Development (OECD), Canada ranks third among the countries with the highest level of living standards, after Australia and Sweden. The top categories include average salary, living conditions, employment rates, ecology, life expectancy and education. 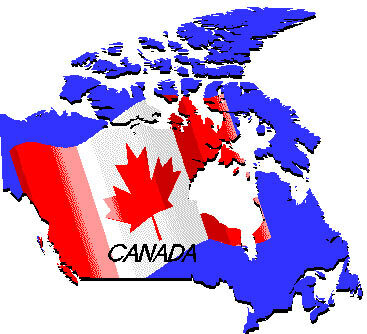 Being the second largest country in the world, Canada's population is only 35 million people. Canadian government welcomes new immigrants. As a result, there are more that 250,000 newcomers from over 100 countries that come to live in Canada every year. Over 130,000 international students come to Canada every year. Canada wants and needs them to increase the pool of workers with talented and skilled professionals. With aging population and relatively low birthrate there is great potential for newcomers to find meaningful employment and enjoy high living standards. The demand for workers outgrows supply in the areas of health, social and community services, transportation, construction, manufacturing, education, mining and many other fields across the country. International students enrich Canadian culture and become an important resource for strengthening the workforce. Canadian colleges and universities are recognized worldwide. Many families decide to send their children to study in Canada. Ranging from business, engineering and medical degrees to programs in tourism, sport and exercise, and culinary management – students have a choice of the best education in the world that immediately sets them up for a successful career. There are many opportunities for people, who would like to continue or upgrade their education in Canada, and mature students. While they study, their spouses may obtain work permits and children may attend kindergarten or public schools for free. In the case of married international students, his/her spouse may obtain a work permit in Canada for the duration of the student's study permit. If a student has children, they are entitled for free kindergarten (for children 4-6 years old) and free school (for children under 18 years old).